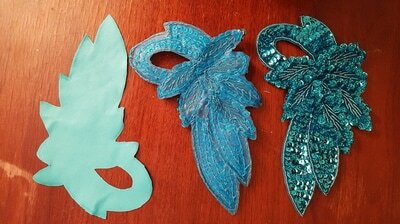 Design notes: I designed both Ducklett and Swanna gijinkas as evening looks. 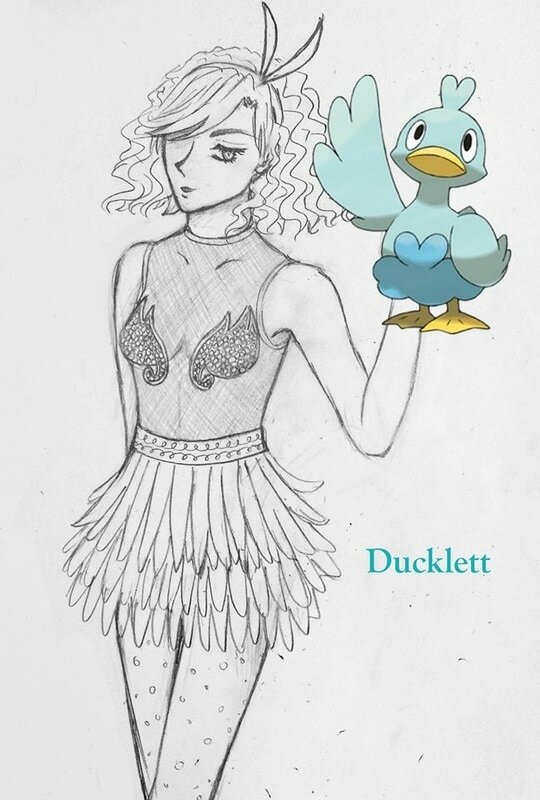 Ducklett being the younger trendy look and Swanna is the evolution into the belle of the ball - so to speak. 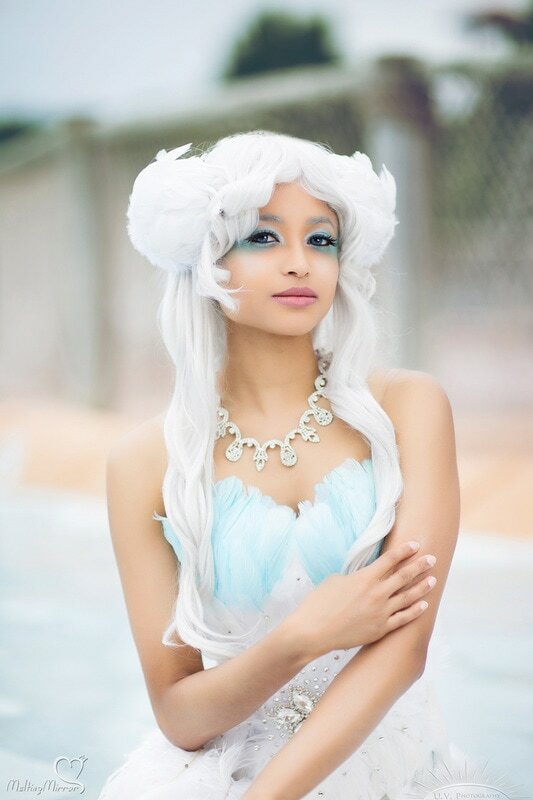 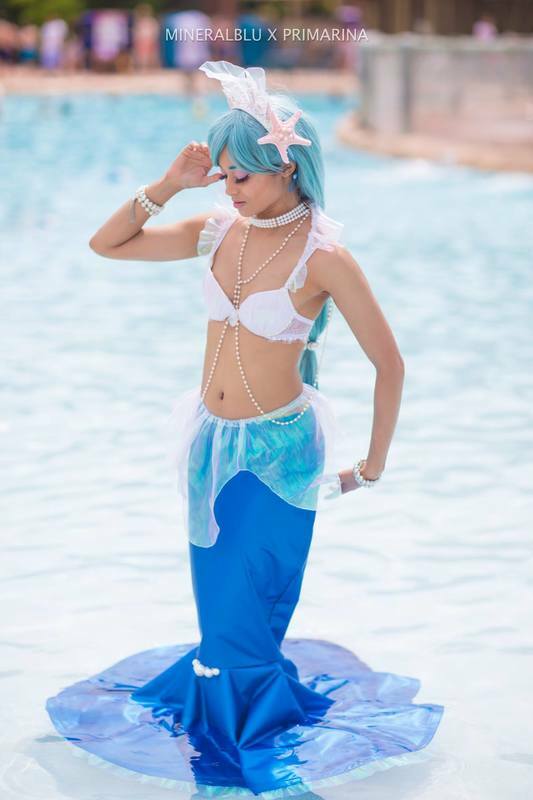 Wig: I used a powder blue Vivien provided by Arda Wigs. Top: I dyed a stretch white mesh pale blue using turquoise IDye poly. 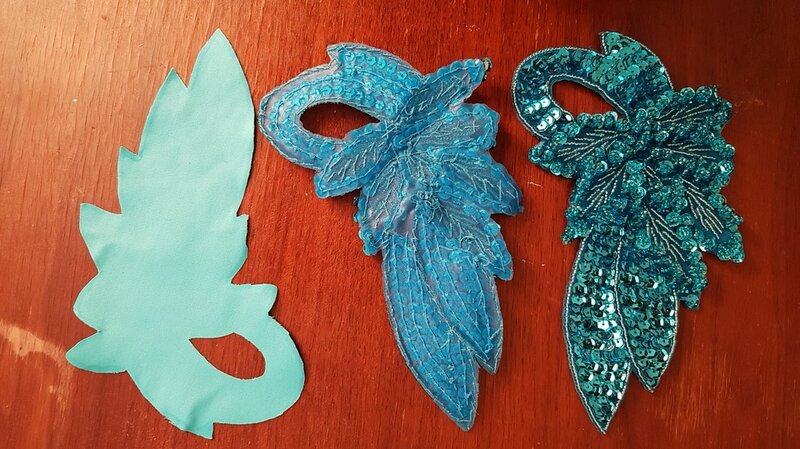 The wing appliques were bought on a trip to NYC in the fabric district. I glued a fabric backing to add a layer of cushioning between it and my skin, then hand stitched it to the top. 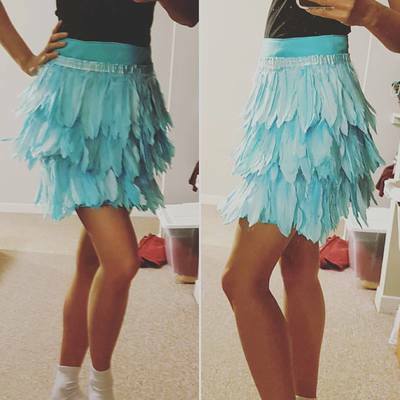 Skirt: I made a blue mini skirt using stretch cotton.White feathered trim was dyed blue using turquoise acid dye, then machine stiched to the skirt. 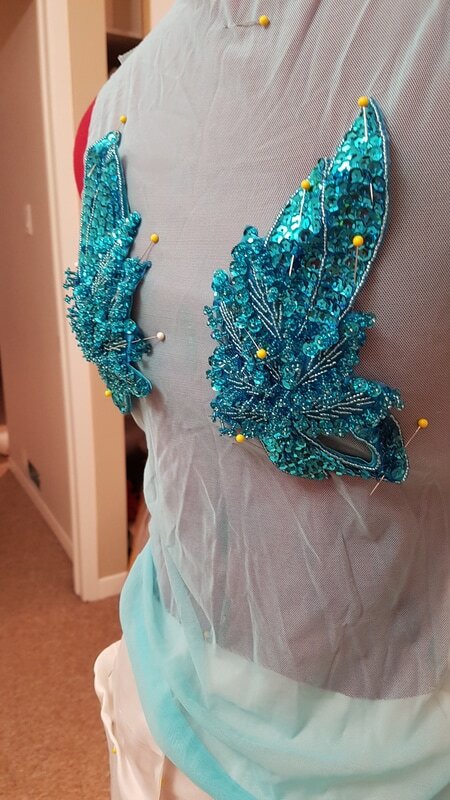 A sequined trim, also bought while in NYC, was hand sewn to the top of the skirt.